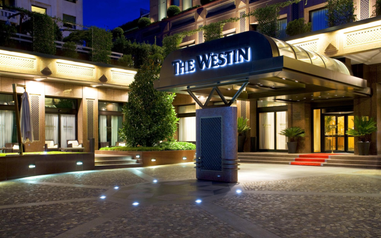 The eco-sustainable hotel The Westin Palace Milan is committed to continuously revising its processes in order to adopt more environmentally friendly methods of providing its guests with the best possible service. In addition, for each night the guests decide to "Make A Green Choice" and decline housekeeping, they are awarded with a gift voucher or Starwood Preferred Guest Starpoints, as this conserves water, electricity, gas and chemicals. 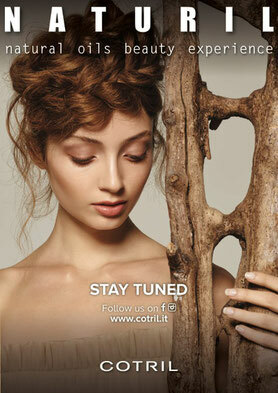 "Natural Make up Beauty experience"
COTRIL's natural make-up line NATURIL will be launched at the end of November 2016. This line offers safe and toxin-free make-up that is based on 100% certified biological Argan Oil, which is soothing, moisturising and nourishing. The Ecocert logo certifies the use of ingredients derived from renewable resources, manufactured by environmental friendly processes. Additionally, NATURIL is produced in Italy and assures recyclable packaging. The organization strives to build software solutions in respect for the environment implementing innovative features that allow users to minimize their environmental impact. Furthermore ALL AROUND implemented a 100% Paperless Reporting.